The work of Bryan Collier was featured in the gallery during the month of February. Second through fourth grade students visited or were treated to a virtual tour of the work. The exhibit was a celebration of Collier as a children's book illustrator and Caldecott Award winner. Click here for a virtual visit. Lauren Tarshis, author of the popular "I Survived" series visited the Lower Division on Thursday, November 29. She presented to Third, Fourth, and Fifth grades. Her visit was part of our week long celebration of books. 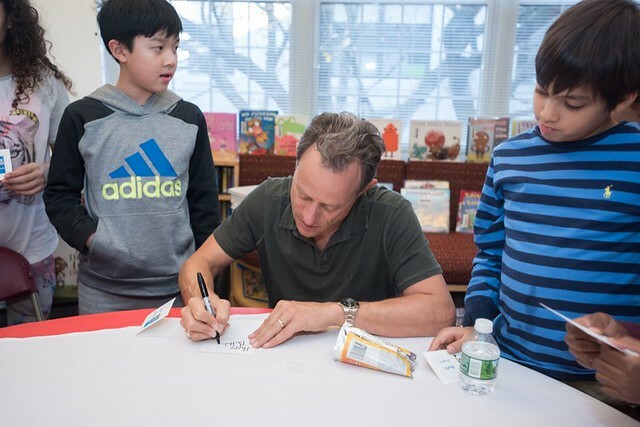 The Lower Division Book Fair was held on Friday, November 30 and Saturday, December 1. Click the image below to view some photos. Take a look at recommended reading and librarians' picks through this website. Don't forget, you can also find some great reads by going to our catalog and selecting Visual Search. Happy reading! Historical fiction author Elisa Carbone will visit our fourth and fifth grade students in the library on Friday, April 13. Carbone is the author of chapter books "Blood on the River" and "Stealing Freedom". She has also written the historical fiction picture books "Night Running : how James escaped with the help of his faithful dog" and "Heroes of the Surf : a rescue story based on true events". Author Stuart Gibbs visited our Fourth and Fifth Grade students on December 1. He gave an exciting presentation. 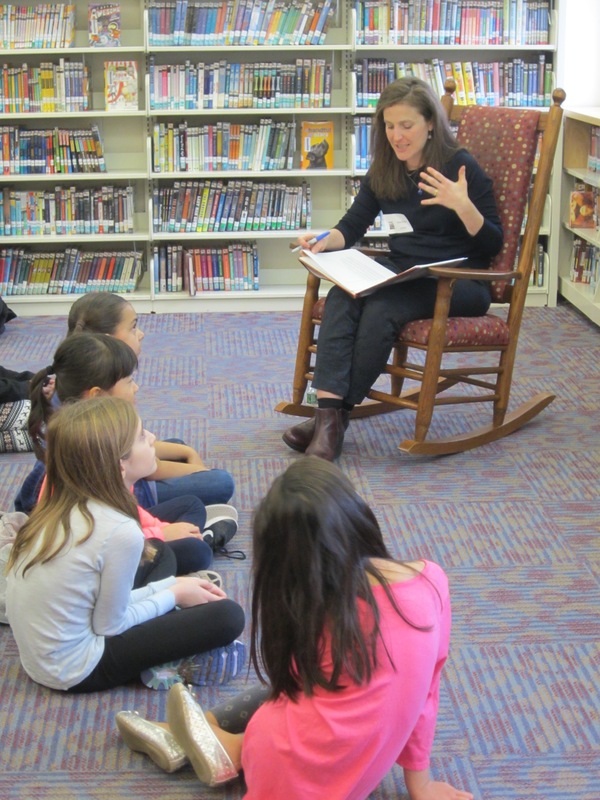 Author Ruby Shamir visited on December 2. Here are some pictures. Popular author Stuart Gibbs will visit the Fourth and Fifth Grades on Friday, December 1. Gibbs has written Belly Up, Poached, Spy School, Spy Camp and the Last Musketeer series. 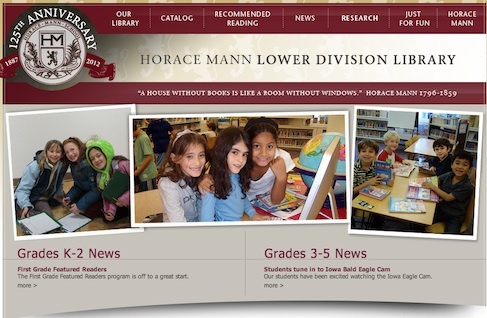 The Lower Division Book Fair will take place on Friday, December 1 and Saturday, December 2. Spring is a good time to read a great book! Take a look at recommended reading through this website. Don't forget, you can also find some great reads by going to our catalog and selecting Visual Search. Happy Spring! “The Girl Who Drank the Moon,” written by Kelly Barnhill, is the 2017 Newbery Medal winner. Three Newbery Honor Books also were named: "Freedom Over Me: Eleven Slaves, Their Lives and Dreams Brought to Life by Ashley Bryan," written and illustrated by Ashley Bryan; "The Inquisitor's Tale: Or, The Three Magical Children and Their Holy Dog," written by Adam Gidwitz and illustrated by Hatem Aly ; and "Wolf Hollow," written by Lauren Wolk. The John Newbery Medal is given for the most outstanding contribution to children's literature. 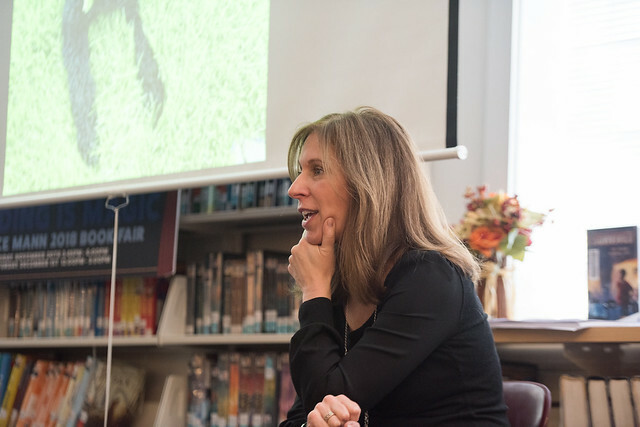 Author Gennifer Choldenko visited our Fourth and Fifth Grade students on December 2. She gave an exciting assembly and engaging writing workshops. Here are some pictures. Let the "Mystery Madness" Begin! The Book Fair presale has begun! Autographed books by visiting authors David A. Adler and Gennifer Choldenko can be ordered here through November 6. This year's book fair theme is "Mystery Madness". Browse Our New Digital Audio Books! Preorder your autographed copies of his books through this link. Lower Division Celebrates a Successful Book Fair! To kick-off the celebration, fourth and fifth grade students met with Chris Grabenstein, author of Escape from Mr. Lemoncello's Library. Grabenstein's books also include IFunny and The Crossroads. The author spoke about his process and ideas for his books. The Lower Division will welcome popular author Chris Grabenstein to join us for our celebration of books and reading. Our Third and Fifth grade students have reached their grade-wide reading goals for the 2013-2014 school year. Third grade students set a goal for themselves of 1,111 books, and as of May 15th, topped out at 1,150. The Fifth grade students set a goal of 915 books and exceeded 1,000. Congratulations to our avid readers! The Lower Division will welcome popular author Avi to kick off our Fall Book Fair. Fourth Grade Reaches Accelerated Reading Goal! Congratulations to our fourth grade students! After setting a grade-wide goal of reading 813 books this year, the students exceeded this goal and reached a total of 825 today. Keep up the good work fourth grade! Our Second and Fifth Grade students talk about their favorite books. Take a look. Sherry is the author of mystery "Walls Within Walls", which takes place in NYC. She will present to 4th and 5th grade students on Thursday, November 29 in the library. Dan Greenburg has written the "Zack Files", "Weird Planet", and "Secrets of the Dripping Fang" series. Judith Greenburg has written the "Andrew Lost" series. They will co-present to 2nd and 3rd grade students on Friday, November 30 in Gross Theatre. The annual book fair will be held on Friday, November 30 and Saturday, December 1. The Library will be open on the first day of school. We have so many things planned for this year including the Book Fair, author visits, other exciting activities, and of course, so many new books! Through this project, we explored the influence of children's literature on our school community over the last 125 years. Our celebration included alumni readings to K-5 students, a display of HM's favorite children's books, and audio podcasts by former and current students sharing their favorite books and HM memories. 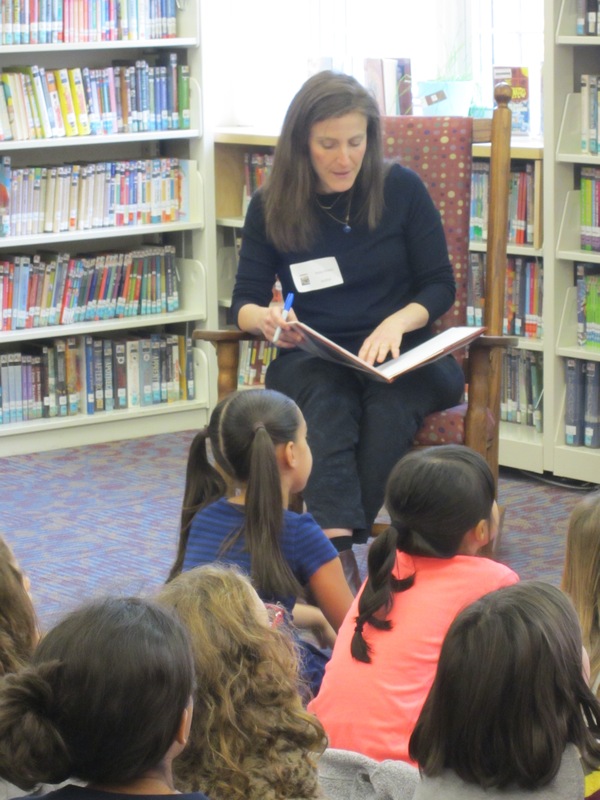 In honor of National Poetry Month and Poem In The Pocket Day, the LD Library held poetry festivals for students in grades 2-5. The children were invited into the library to recite and read their favorite poems. Visit our new website to find catalog access, reading lists, tools for research, interesting websites, and Lower Division Library updates. We look forward to sharing our learning journey with you! Our students have been excited watching the Iowa Eagle Cam. They have been watching this nest for the last two years. This particular couple have been together for nine years. Last year, their Eaglets were also born in February and took flight in mid-June. Check out this webcam and site! The third graders have been learning all about different types of reference books including dictionaries, encyclopedias, and atlases. The fourth graders have been learning how to use these same resources in their online formats. Our fifth graders have been busy reading and taking Accelerated Reader quizzes. Check out some of our favorite research websites. See how many books and words the students have been reading - as well as some of the latest titles on our Accelerated Reader page.